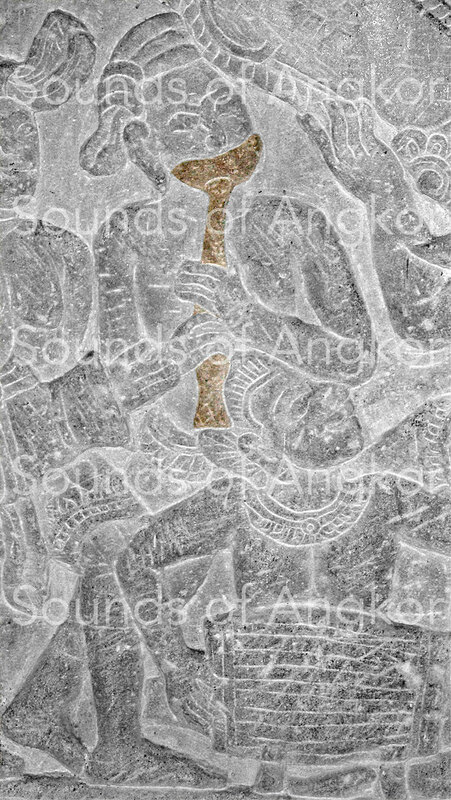 Oboe - Site de soundsofangkor ! Reed instruments appear for the first time on the bas-reliefs of the north gallery of Angkor Wat. 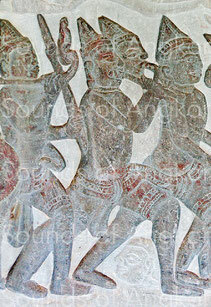 It is difficult to describe them precisely, given the poor quality of the sculpture. The bore appears straight or even very slightly conical, the pavilion little flared. 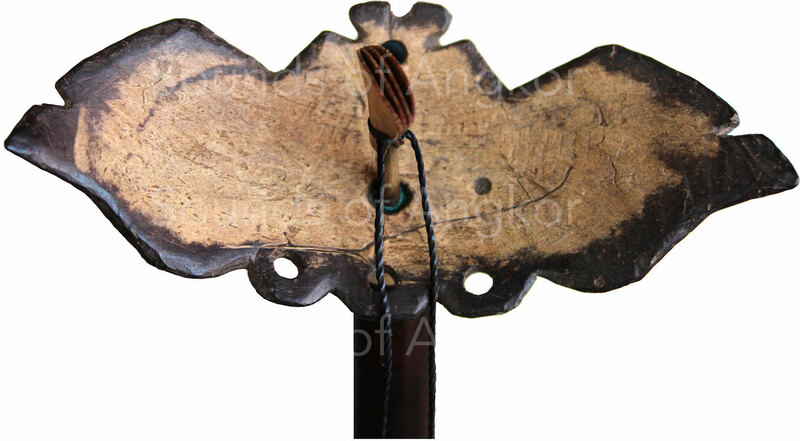 The characteristic of the instrument is its oblong "pirouette", probably cut out of a calabash, a coconut or a sheet of metal. 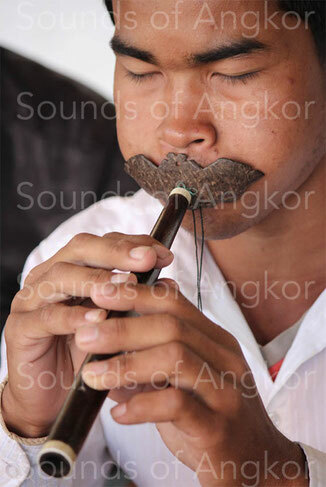 Such instruments are still played in Java, especially in Madura, an island in North East Java (Indonesia) under the name of tarompet and continue in Cambodia. 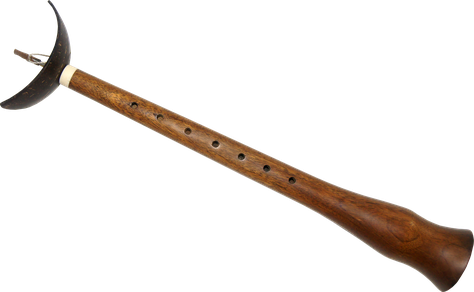 In the latter country, the pirouette is used only in the private setting of the musician's training to facilitate the playing with circular breathing. In military contexts, the oboe was already played by a couple in the 16th century. Oboe with oblong pirouette. Angkor Wat. 16th century. Pair of oboes with pirouette. Angkor Wat. 16th century. Oboe with its pirouette in coconut. Cambodia. Inside a bat-shaped pirouette with outstretched wings in coconut. Notice the quadruple reed.